The HYDMECH CNF400CNC Circular Saw is the top of the C-Series Cold saws, a vertical column cold saws which was made for rapid cutting of heavy wall, structural or solid steel applications. 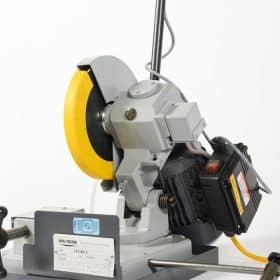 The gearbox and the saw motor are part of the cutting head which helps the C-series easily cut through to 4’’ solid metal material. 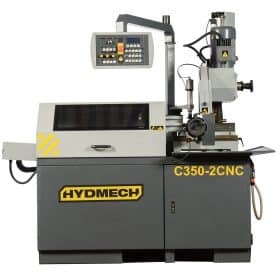 The HYDMECH CNF400CNC Metal Cold Saw is an electro pneumatic, automatic vertical column circular saw with a heavy duty gearbox that has a 3 stage transmission motor and that is directly coupled to the saw head so as to ensure high precision and rigidity in all metal cutting applications. 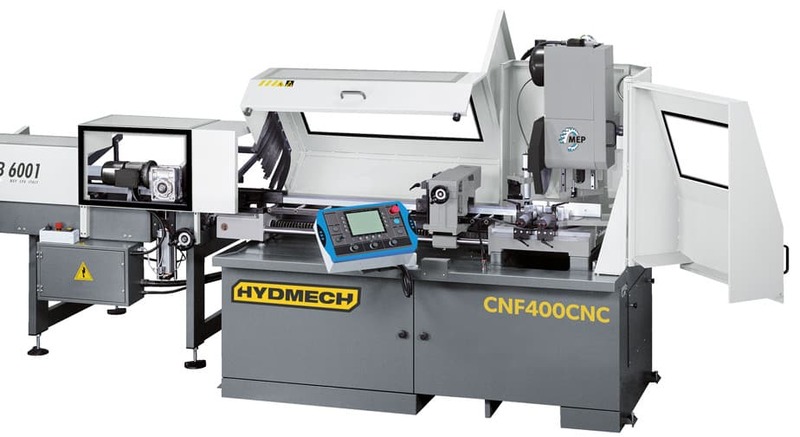 The CNF400CNC weighs 2350 pounds and is ideal for cutting aluminum and other materials that are non-ferrous. It has a 15.75’’ blade. 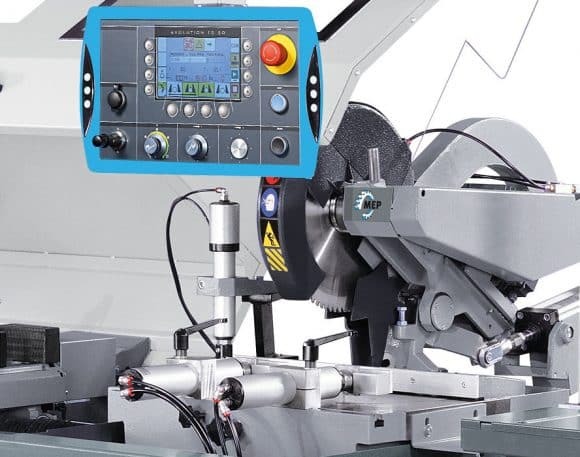 Adjustable speed drives of 1700 or 3400 RPM’s. 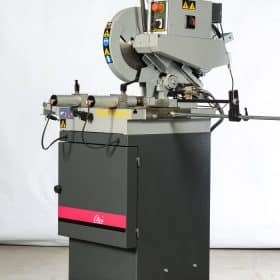 A blade mist lubrication system that is automatically activated during the cut. 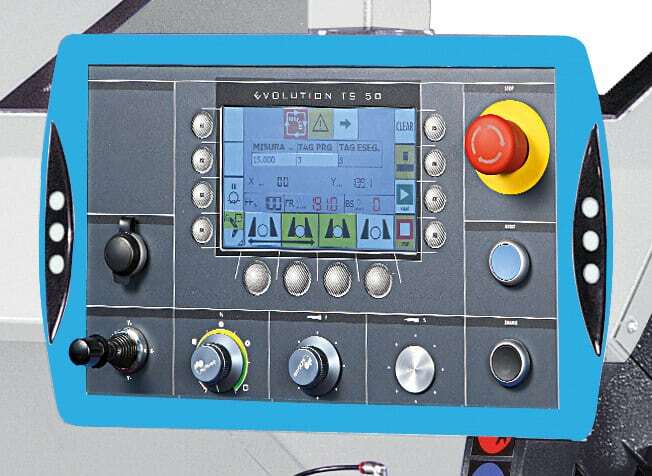 A control panel that is ergonomically positioned. Two pneumating operation vises that are automatic and clamp material on both sides of the blade.